Alec Baldwin was in DC Wednesday for Arts Advocacy Day attending meetings about funding for the arts. Rosie our Roving Reporter was having a power lunch at Oya and spotted the actor famous for his roles on 30 Rock and Beetle Juice. 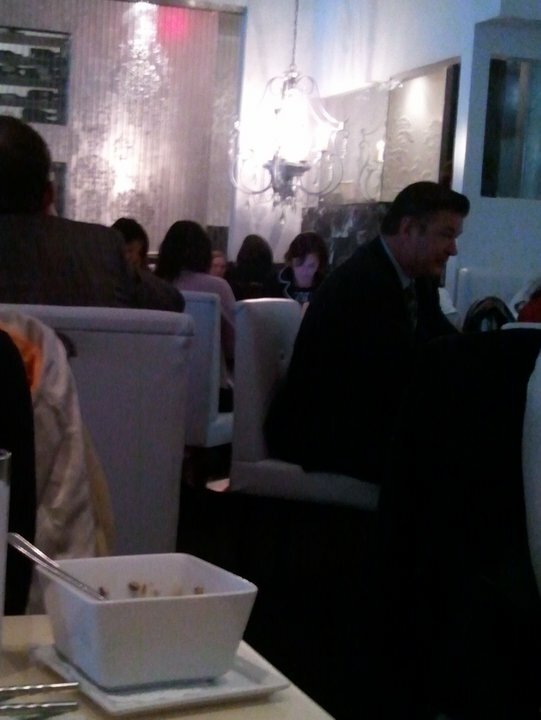 She was able to take a quick, discrete picture on her phone and reports that Baldwin appeared to be eating edamame. Rosie was skeptical that it was in fact Baldwin but was convinced when she overheard the phrase "this one time at Sundance"